The biotech industry is one where companies can live or die on the back of a single drug approval; and where share prices can move to a degree that reflects this extreme dichotomy. There are therefore potential profits to be made in the sector, but it pays to be cautious, and to take a measured approach. The biotech sector benefits from spending and demographic trends, which sees an aging population in the western world spending increasing amounts of money to meet their healthcare needs. Indeed, per capita healthcare spending is rising at around 4.61% globally and around 7.24% in Australia per year. There are a number of things to consider when evaluating biotech and pharmaceutical stocks, not the least of which is to consider the size and maturity of the company. This will give you a gauge on what to expect as a holder or investor of the stock. For example, if you invest in a small, early-stage biotech company, there is a strong likelihood that your company will run at a loss, and pay no dividends. It may not even generate any revenues whatsoever. There are a lot of early-stage companies in the sector that will never turn a profit. 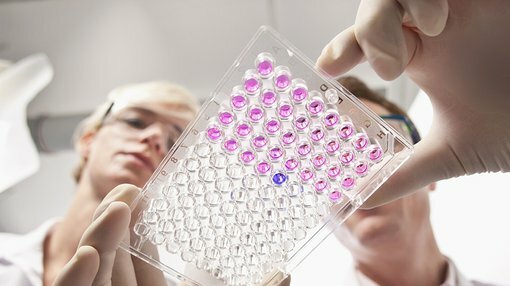 However, if you do invest in an early stage biotech or pharmaceutical company, and they are able to transition to profitability, you could be richly rewarded; as established businesses in the sector tend to enjoy high profit margins, high product uptake rates, and often government subsidisation. It can be very expensive to get approvals and patents for new drugs, and you must therefore consider how likely the business is to getting their products to market. It should be noted that investing in any early stage company is highly prospective and does come with risks, so investors should seek professional financial advice if considering early stage biotechs for their portfolio. Investing in a later-stage company in the sector can also be rewarding. Often the barriers of entry into competing in the sector can create defensible positions for companies who already enjoy things like Food and Drug Administration (FDA) approval, or patent protection for their products. Because of the beneficial attributes enjoyed by the more mature biotech and pharmaceutical shares, they often trade at a premium to the rest of the market in terms of price/earnings (P/E) and dividend yields. It is therefore up to us as investors to determine whether that premium is worth paying. It is also important to assess whether there are competing products on the market, or in the approval pipeline that may cannibalise the market. There is a lot to consider when choosing to invest in a biotech or pharmaceutical company, and it can be quite daunting for a novice investor. However, given that healthcare spending is forecast to increase in just about every country on earth for the foreseeable future, it is a sector that many investors could look to seek exposure to.